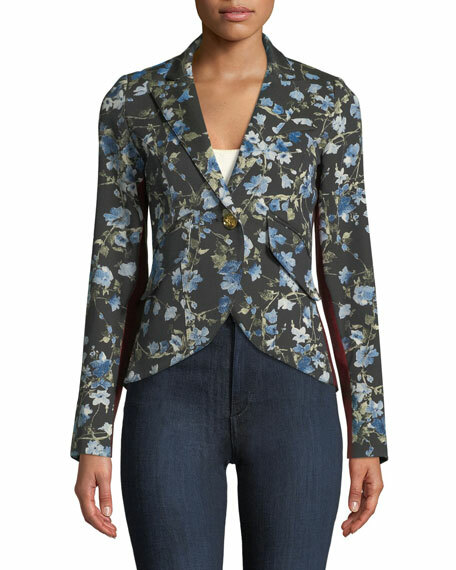 Smythe tuxedo-style blazer with floral-print. Contrast tuxedo stripes at sides. Made in Canada of Italian materials. Canadians Andrea Lenczner and Christie Smythe introduced the Smythe collection in 2004. This line of menswear-inspired jackets and coats are tailored for feminine contours, making these toppers a polished option for virtually any look. 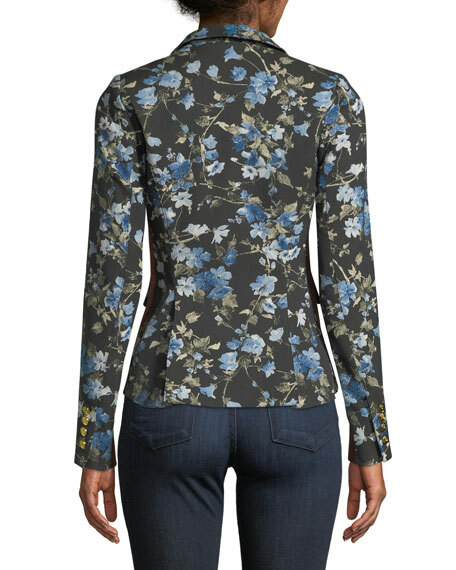 For in-store inquiries, use sku #2450980.